I've been lucky enough to have received a number of cards from New Zealand recently but in fact this one arrived about a year ago. 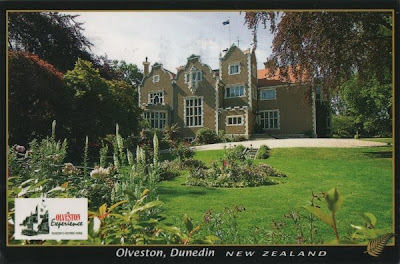 It shows Olveston, a residence built for a local businessman, David Theomin. It was lived in by his family from 1906 until 1966 when it was left to the city of Dunedin. It has been preserved in its original state. 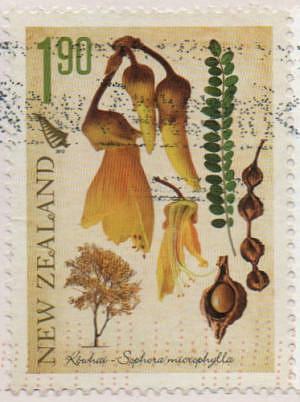 The stamp shows an example of a kowhai tree and its various parts. The kowhai is native to New Zealand. There are several species but the one shown is Sophora microphylla. 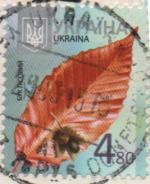 I was fortunate to find other examples of trees on stamps. 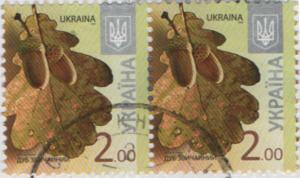 The three above are from the Ukraine series which quite a few people seem have. 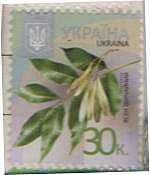 And finally these lovely stamps from Singapore, the tulip tree and Senegal mahogany. the stamps from Singapore are very attractive. 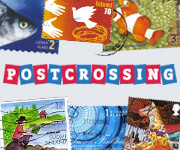 I think the Singapore stamps are the tops this week. 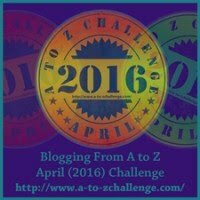 I'm so glad to see more acorns - I could have done with that for my post to match the title. I have to agree about the Singapore stamps. The first one looks like an old botanical draeing. The Singapore trees I would like to see in real life. I'd be happy to travel to NZ and see those trees too! Thank you for joining in. Love the Singapore stamps! 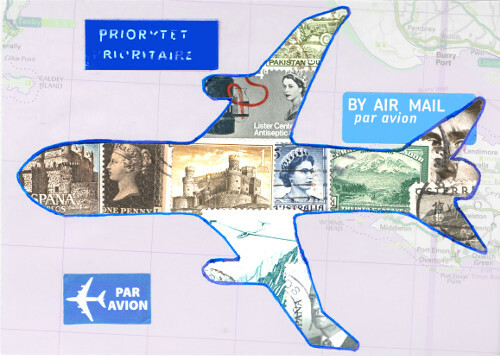 But I also like the NZ stamp for the clear details. The RBG is actually in Burlington/Hamilton, just west of Toronto. You would have passed it on your way to Niagara Falls - did you miss that, too?! The Pink tree from Singapore is quite interesting!